So it really is as easy as 3, 2, 1! If you didn't already know, Aperol is an Italian Aperitif, bright orange in colour and with a unique bitter orange kind of taste. It pairs really well with Prosecco because it makes a really refreshing drink without being sickly sweet as some cocktails are; I really enjoyed it because it gave my usual drink a bit of a different edge. 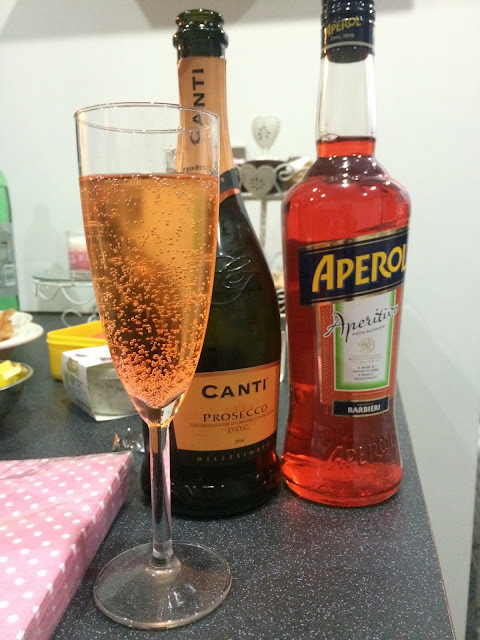 The ease of actually making the cocktail is a winner for me too because there's so many out there which involve buying 5 or 6 different ingredients whereas you can get the ingredients for this for under £25 and your bottle of Aperol would still last a fair while. Along with some nibbles like the funky crisps we had (like the Tesco Finest Prosecco and Elderberry flavour), Aperol Spritz is the perfect cocktail to bring along to your friend's house! 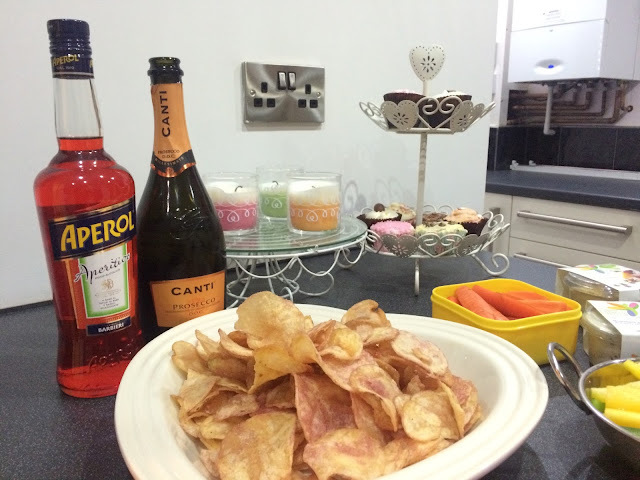 Have you tried Aperol Spritz?